A boy in Vero Lake Estates is raising money to help her neighbors. VERO LAKE ESTATES – A young boy wants to help a family who was hit by a drunk driver on August 9th. 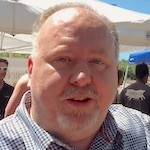 “We were coming home from vacation, had just left the airport. 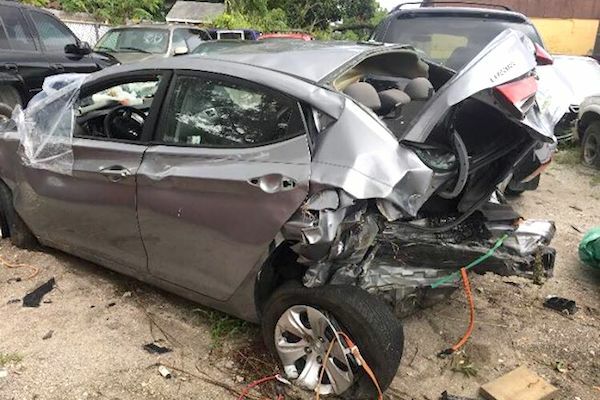 We were driving on 95 in Titusville when a drunk driver hit us from behind at about 110 mph,” Jolene Tagliaferri-Gangi told Sebastian Daily. Jolene said her car spun around and flipped quite a few times. She was in the vehicle with her husband and three children. “Thankfully, we all survived somehow, but my husband and 24-year-old son got some serious injuries and will be unable to work for quite a while,” she said. Jolene and her family live in Vero Lake Estates, and she drives the ice cream truck here in Sebastian. Drunk driver hits Vero Lake Estates family. After hearing the news of what her family went through, a little boy in her neighborhood wanted to help raise money for the family. The boy has a tent set up this weekend at the corner of 83rd Street and 101st Avenue in Vero Lake Estates where he has Sweet Tea, pink lemonade, brownies, blueberry muffins, and lollipops. Donations are also welcome at the site. The family also has a GoFundMe page set up for donations. 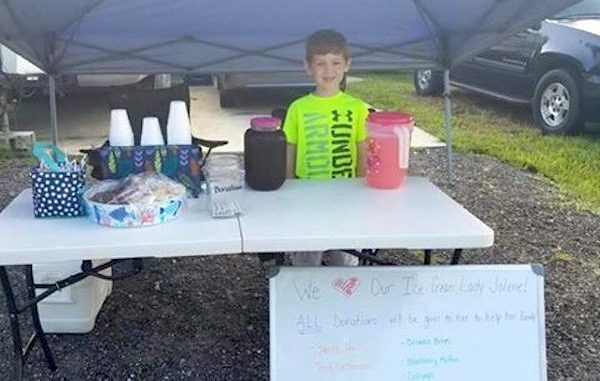 We usually don’t promote or advertise lemonade stands on Sebastian Daily, but this story touched us.